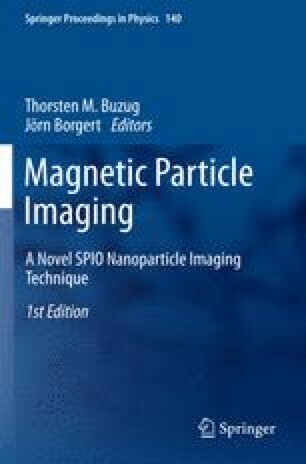 Magnetic particle imaging uses a field with a single field-free point for spatial encoding. Such a gradient field can be generated by a Maxwell coil pair consisting of two opposing coils driven by current flowing in converse directions. In order to sample the volume in-between the coils, the field-free point has to be moved through space. When keeping the gradient strength constant the electrical power loss of the Maxwell coil pair setup drastically increases when moving the field-free point off-center. In this paper a coil configuration is proposed, which consists of four coils and considerably reduces the electrical power loss for off-center field-free point generation.